Tres Lagos’ gated estate community with large 1/2 acre-1 acre estate lots on the waterfront! 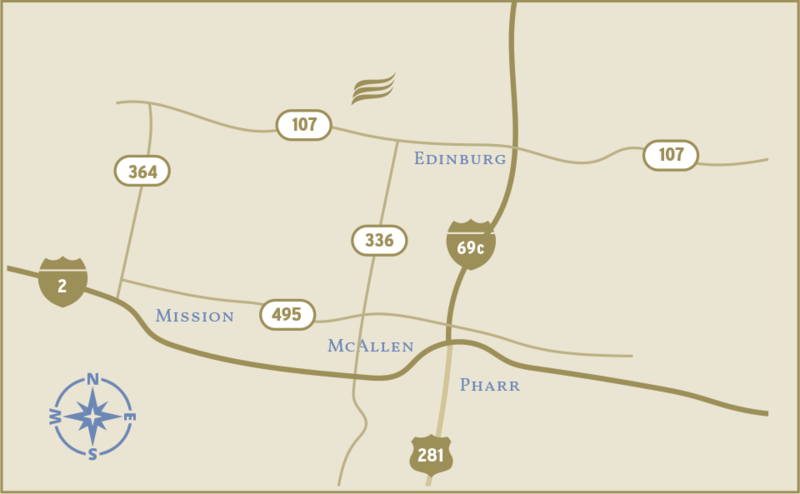 If you’re looking for a more upscale neighborhood in McAllen within proximity to on-site schools, restaurants and shops, and retail and commercial buildings, you’ve finally found it. Choose your builder and start building the custom home of your dreams! Feel free to take a look around McAllen. You won’t find another master-planned community like Tres Lagos – with a vision for state-of-the-art technology, commitment to conservation, and premier location. There’s no better time than now to build the waterfront home of your dreams!